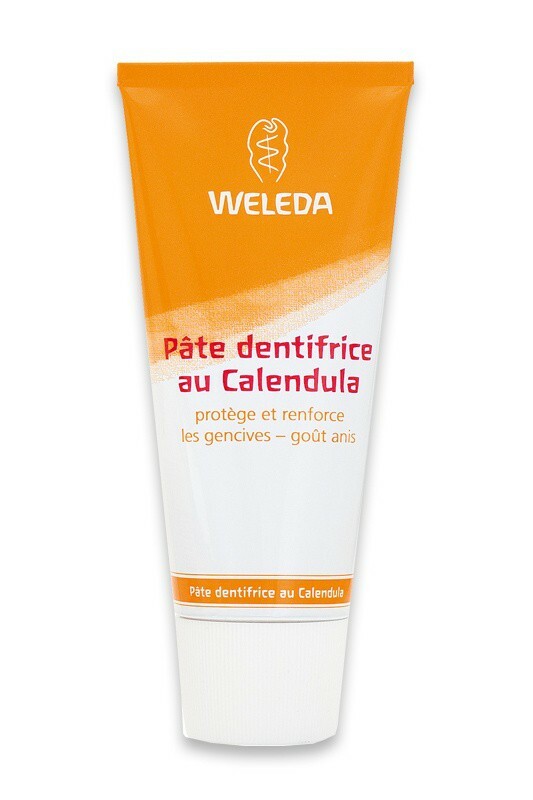 Weleda Organic Calendula Toothpaste efficiently cleanses the teeth and helps preventing plaque, the cause of tooth decay. Extracts of antiseptic myrrh and soothing calendula diminish gingival sensitivity. 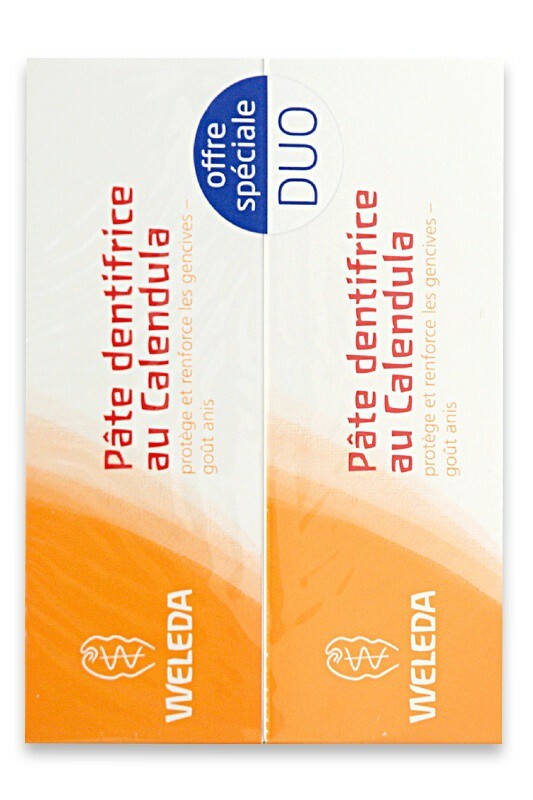 WELEDA Natural Calendula Tooth Paste is fragranced with fennel essential oil which provides a good anise flavour and fresh breath. It is suitable with homeopathic treatments. Texture spéciale mais pas forcement désagréable. Ma gencive me fait moins mal qu'auparavant, bon produit donc ! FRESH BREATH WITH WELEDA ORGANIC TOOTHPASTE ! Apply a small amount of Weleda Calendula Toothpaste to a dry toothbrush, and brush over the teeth and gums for a thorough cleaning.